If you’re interesting in snagging the honored title of that guy in the ugly Christmas sweater as this year’s holiday parties, this Gold Box is for you. 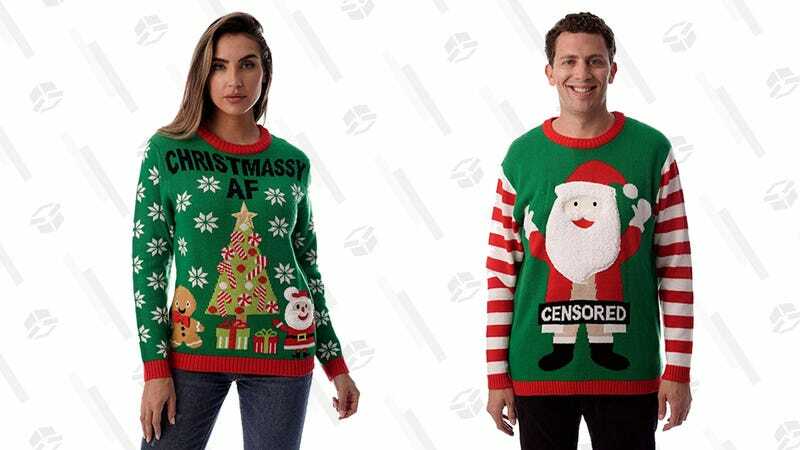 For just $21, men and women can embarrass themselves and everyone associated with them by purchasing one of these downright unattractive sweaters. Some are just tacky, others are downright offensive, but all are a good deal.